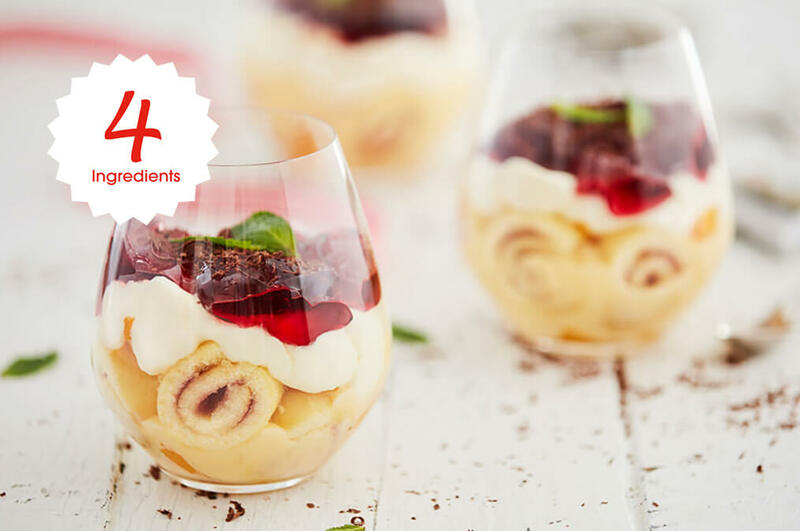 Christmas celebrations aren’t complete without a trifle. This recipe, although easy, is bound to be a family favourite. 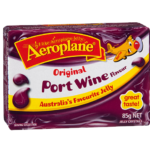 Prepare both packets of Aeroplane Original Port Wine jelly according to pack instructions and set aside to cool for 20 minutes. 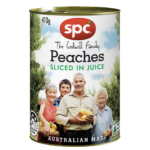 Place drained peaches in the bottoms of each individual serving glass and top each glass with cooled jelly. Refrigerate until set, approximately 4 hours. 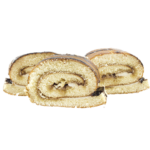 Place the Swiss roll slices decoratively around individual serving glass. 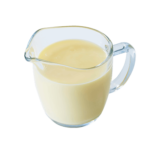 Pour in the vanilla custard. Garnish with raspberries, mint and almonds. Optional: to create a real show-stopper, whip 300g chilled cream with 1 teaspoon vanilla extract and 2 tablespoons icing sugar until thick, then spoon around the bowl. Serve topped with mixed berries and toasted almond flakes.